Thrombosis is a process of blood clotting, the result of which is a blood clot in the blood vessel. This clot may block or impede blood circulation in the affected area, as well as cause serious complications. Especially dangerous is a thrombus that moves to the critical part of the circulatory system, such as the brain or lungs. hrombosis is a condition caused by the formation of a blood clot that interferes with the normal circulation of blood throughout the body. Depending on the place and size of the blood clot, thrombosis can be extremely serious and even life-threatening. 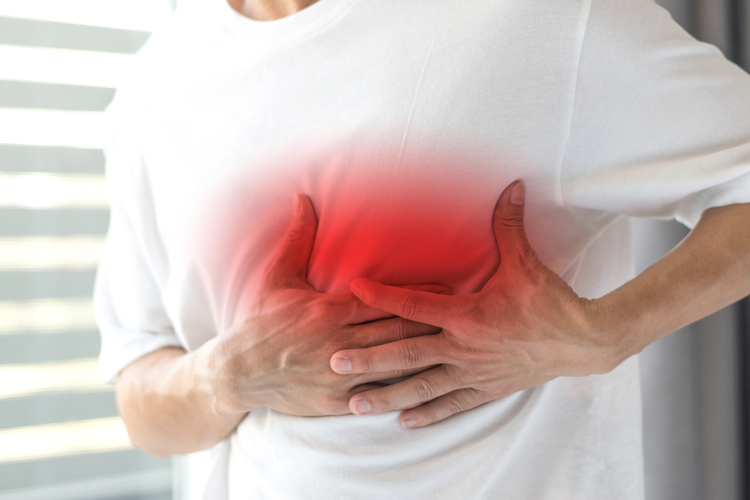 Thrombosis is often combined with thromboembolism and then there are such terrible complications as a heart attack and a stroke. Different methods of investigation are used to determine the location of the thrombus and the determination of the condition of the blood coagulation system is significant. When confirming the diagnosis, anticoagulation therapy is performed, and further preventive measures are taken. Video: Than Thrombosis Is Dangerous? Venous is when a blood clot overlap partially or completely blood flow to the vein. By venous blood vessels flow from the body towards the heart. The arterial is when the blood clot blocks the artery. By arterial blood vessels carry oxygen from the heart to all parts of the body. Hypercoagulation - in the context of certain autoimmune processes or genetic disorders, increased blood coagulability develops. According to the latest data, in the deep vein thrombosis, neutrophils are directly involved. In particular, they act as mediators during pro-thrombotic actions. Also, hypercoagulation is often associated with the administration of certain drugs and the passage of therapy, including antitumour. Damage to endothelial cells - there are many different factors contributing to damage to the inner layer of the vessels (endothelium). Under the influence of the tissue factor on the endothelium, platelets settle down, which results in thrombosis. Disturbance of blood circulation - the same is most often noted in violation of the activity of the heart, when blood begins to stop in venous blood vessels, due to which thrombosis and embolism develop. Also malignant formations can push the vessels, including large ones, which inevitably leads to thickening of the blood and thrombosis. 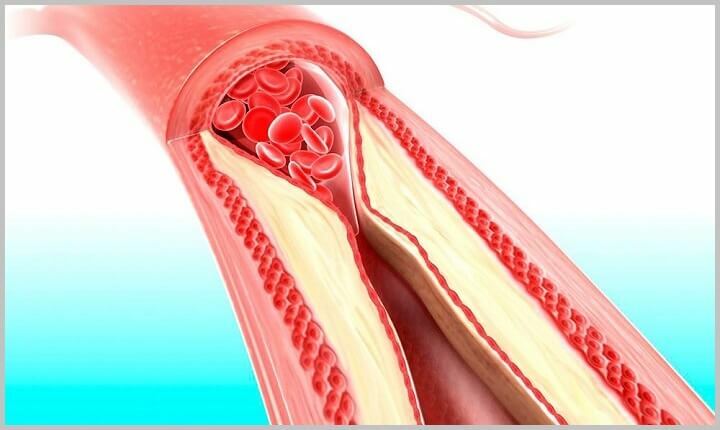 Arterial thrombosis is most often caused by atherosclerotic vascular lesions. 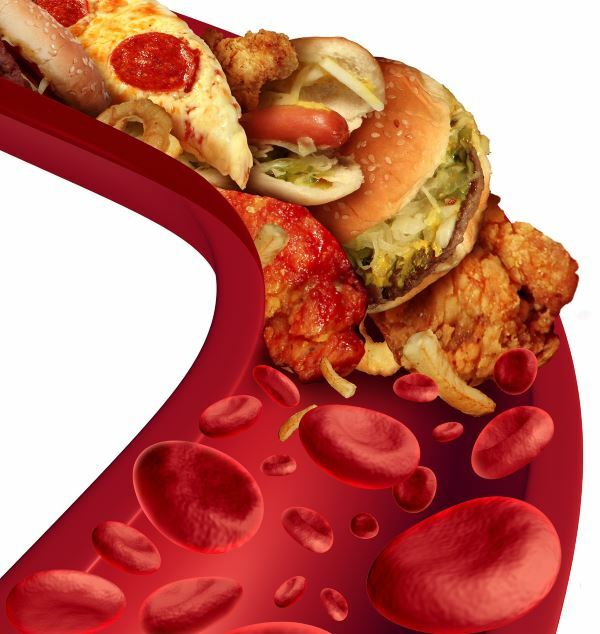 This occurs when fat or calcium compounds are deposited on the walls of the arteries. The plaques thus formed may partially or completely block the vessel. In some cases, the educated thrombus is torn off and falls with the blood flow to other organs and systems, disturbing circulation in them. Arterial thrombosis may develop in the coronary arteries, and then the heart muscle is affected, with all the consequences, including angina and myocardial infarction. When arterial thrombosis is formed in the blood vessel of the brain, then favorable conditions for the development of stroke are created. Most of the risk factors for venous and arterial thrombosis are the same. Injury of the venous vessel due to operation, fracture or other. Video: Why do people form blood clots? Disruption of arterial blood circulation in the limbs. When arterial thrombosis occurs, anticoagulant (or antithrombotic) medications are used to prevent further clot growth and dissolution of existing clots that block coronary arteries. In most cases, anticoagulants are given in combination with other medicines, and if necessary, medical manipulations. The presented forms of vein thrombosis are collectively known as venous thromboembolic formations (WCO). Deep vein thrombosis (DVT) is a definition of blood clot in the deep vein of the limb or pelvis. Most commonly occurs in the lower extremities, such as deep vein thighs. With the development of DVT, the amount of returned oxygen-free blood to the heart is limited. Though MSW and TBV bring a lot of inconveniences, their main danger is associated with the development of severe complications that increase the risk of pulmonary embolism. Pulmonary embolism (LE) occurs when the thrombus is separated from the vessel and through the venous system moves with blood through the right side of the heart and then gets into the pulmonary artery. The clots settle down in the pulmonary artery, which can cause partial or complete blockage of the vessel. The effects of LE vary depending on the size and location of the thrombus. However, LE is an extremely dangerous pathology that can lead to fatal outcome. A more acute and pronounced clinical picture is characteristic for arterial thrombosis, whereas the blockage of venous vessels is less noticeable, but this does not reduce the degree of danger of their development. 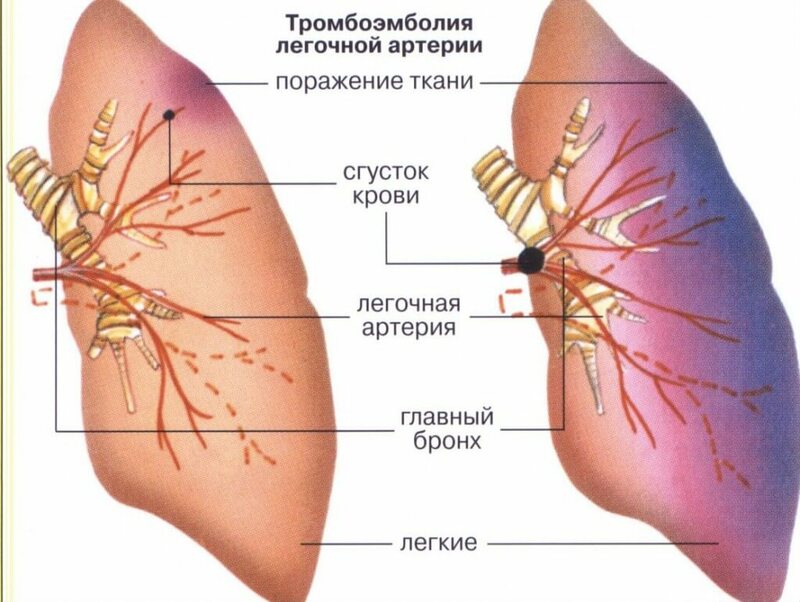 Symptoms of thrombosis may be similar to other diseases, especially if there is a heart attack or stroke on its background, then the characteristics characteristic of these pathologies are determined. When should I immediately contact a doctor? Ultrasound diagnosis. With the aid of sound waves, the degree of blood flow disturbances in the arteries and veins is estimated. Laboratory tests that allow you to determine the severity of blood coagulation. In particular, a prothrombin test, a TV test (thrombin time), an activated partial thromboplastic time is performed. Venography . At the beginning of the study, the X-ray contrast agent is injected into the vein. Then an X-ray image is made, on which vessels are visible, including narrowed and clogged ones. MRI or CT . Such a visual diagnosis is selected taking into account the type of thrombus and the presumed location of its location. Treatment of thrombosis is primarily due to the use of anticoagulants or, as they are commonly referred to as "blood diluents." Although these medicines do not actually "dilute" the blood, but only slow down the ability of the body to form new blood clots. Anticoagulants usually begin to be administered in a hospital, especially in the first 5-10 days after diagnosis. This period is considered to be the most serious or severe during the development of the disease. If necessary, anticoagulants are prescribed for home use, especially those who are at risk. Home treatment with anticoagulants can last for weeks, months or even years, which prevents the appearance of new blood clots. A similar phenomenon is especially indicated for atrial fibrillation and other forms of arrhythmias, in which a progressive reduction of atrium develops. You must necessarily take the medicine according to the prescriptions. With your doctor you need to continue to maintain close cooperation. When determining any symptom of thrombosis and / or the appearance of side effects from the administration of prescribed drugs, you must inform your doctor about this. 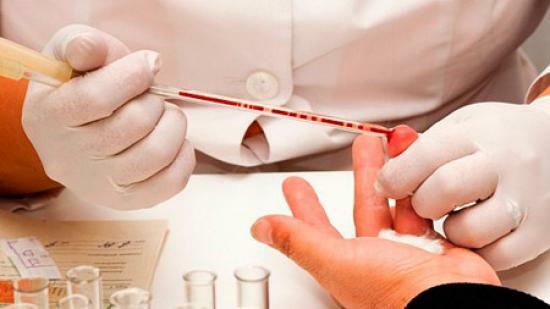 If necessary, repeated tests are given, which will allow controlling the level of blood coagulation. When visiting a doctor, do not hesitate to ask questions of interest. According to nutritionists and macrobiotic consultants, it is necessary to avoid products that promote the development of inflammation in the body. These include white bread, cakes, pastries, cookies, refined butter. All these products, as a rule, contribute to the formation of blood clots. At the same time, it is worthwhile to include in the diet of the substance that can improve the blood condition. The active compound present in turmeric, known as curcumin, is involved in thrombolysis, which prevents vascular thrombosis. Its healing properties can also help in the treatment of pain caused by already formed blood clots. According to some nutritionists, garlic contains sulfur compounds which are known to contribute to the dissolution of blood clots. One should consume one raw garlic clove in the morning to get effective results. Many peppers, including acrid, are natural blood diluents and have an effective effect on its rheological properties. All this thanks to the presence of salicylates in them. According to nutritionist Simran Saieni from Fortis Hospital, Arjun ki chhaal or Arjuna Termination - it is very effective in brightening blood. For reception it is necessary to take a crust of evergreen tree and insist it in warm water. Take such an infusion every morning. These tiny seeds are filled with very useful omega-3 fatty acids that help prevent blood clots and improve blood circulation. Omega-3 is also found in red fish, which is also desirable to be included in the diet. With a small thrombosis, its lysis (dissolution) is possible, which allows the blood flow to completely or partially recover.In the unfavorable course, connective tissue grows, which leads to the appearance of a seal. 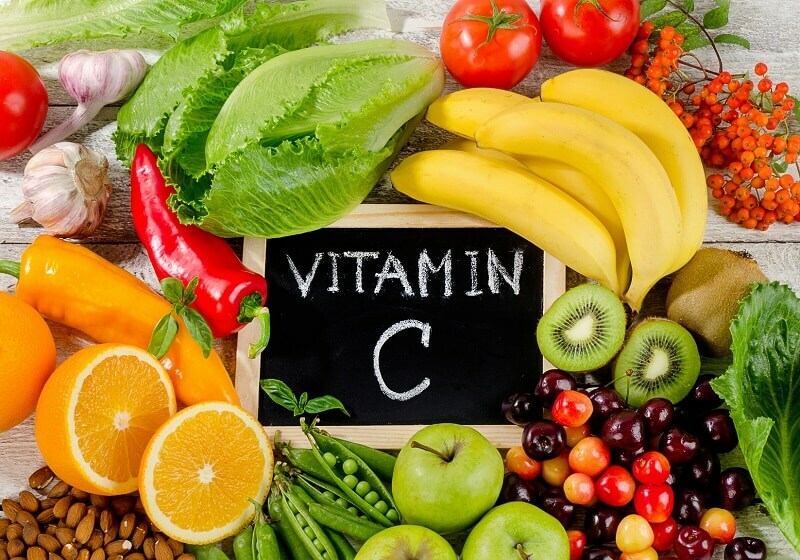 The treatment of concomitant diseases, especially those such as diabetes, high blood pressure and high cholesterol, also helps to prevent thrombosis.